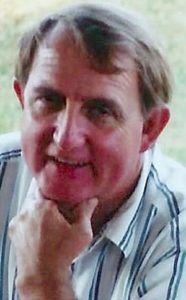 Robert S. McDonald, 72, of Lancaster, passed away on Sunday, January 13, 2019. Born in Elkton, MD, Robert was the son of the late Elmer McDonald, Sr. and Mable Virginia Bryan. He was the loving husband to the late Linda (Grimm) McDonald for over 58 years. Robert attended Lampeter Strasburg High School. After high school, Bob became a Supervisor of Operations at Waste Management Company, where he retired from. Bob was an avid gun collector. He enjoyed drag racing and was known for his love of muscle cars. Most of all Bob loved his wife Linda, his family and providing for them. He will be remembered for his quiet demeanor and devotion to his family. Bob is survived by his two sons: Troy (Deidra) McDonald and Shane McDonald, all of Lancaster; his two grandchildren: Hanna and Cole; his siblings: Charles McDonald of Lancaster, Audrey Ile of Lancaster and Beverly Varner of Ashboro, NC as well as several nieces and nephews. He was preceded in death by a brother Elmer McDonald. A Celebration of Bob’s Life will be held at 11AM on Saturday, January 19, 2019 at the Charles F. Snyder Funeral Home & Crematory, 414 E. King Street, Lancaster, PA 17602. Family and friends will be received from 10AM-11AM. Interment will follow at Riverview Burial Park. In lieu of flowers, memorial contributions may be made to the the American Cancer Society, 314 Good Drive, Lancaster, PA 17603 and The Arthritis Foundation, Central PA Chapter- SE Branch, 204 Butler Avenue, Suite 102 Lancaster, PA 17601.